You may choose to file for bankruptcy for various different reasons: unemployment, large medical expenses, marital issues or overextended credit. 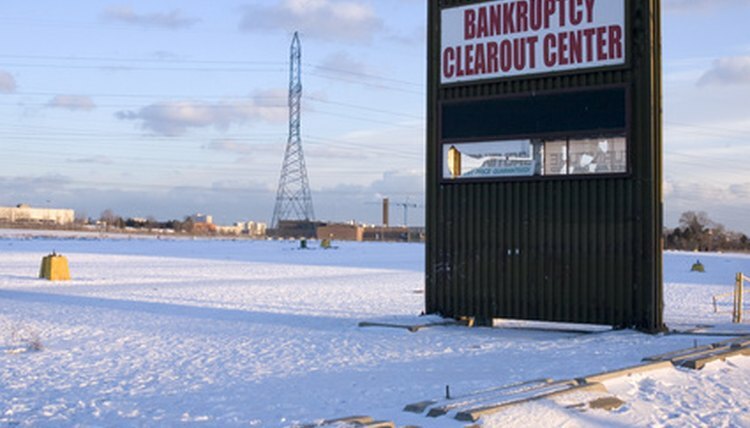 In the United States, bankruptcy is governed by federal law. If you are part of a business entity, such as a sole proprietorship, partnership or corporation, you can file for a chapter 11 bankruptcy in Texas under the United States Bankruptcy Code. If you are a debtor who is engaged in business, you may prefer to remain in business and avoid liquidation. You can do this by filing a petition under chapter 11 of the Bankruptcy Code. This is often called a "reorganization bankruptcy." It allows you to seek an adjustment of debts either by reducing the debt or by extending the time for repayment. Alternatively, you may seek a more extensive reorganization. A chapter 11 bankruptcy for a corporation does not put your personal assets at risk beyond the value of your investment in the stock of the company. A partnership also exists separately from its partners, but in some cases your personal assets as a partner may be used to pay creditors. A sole proprietorship does not have a separate legal identity, and a chapter 11 bankruptcy for a sole proprietorship always includes personal assets. To begin a chapter 11 bankruptcy, file a voluntary petition with the bankruptcy court serving the area where you have a domicile or residence. Creditors who meet certain requirements may file an involuntary petition on your behalf. A $1,167 case filing fee and a $550 miscellaneous administrative fee are charged at the time of filing the petition, to be paid to the clerk of court. You may be able to get permission from the court to pay this in installments. A voluntary petition must include your name, Social Security number or tax identification number, residence, location of principal assets, your plan or intention to file a plan, and a request for relief. A written disclosure statement and a plan of reorganization must also be filed with the court. The disclosure statement must contain enough information about your assets, liabilities and business affairs to allow a creditor to make an informed judgement about your reorganization plan. There are other options for filing business bankruptcy in Texas, such as a chapter 7 bankruptcy and a chapter 13 bankruptcy. Chapter 7 is often referred to as a "straight bankruptcy." This type of bankruptcy liquidates your assets to pay off as much of your debt as possible. The cash from your assets is then distributed to banks, credit card companies and any other creditors. No less than four months later, you'll receive a notice of discharge, then the bankruptcy record remains on your credit report for 10 years. A chapter 7 bankruptcy can be a quick, simple option for many people, but it's not right for everyone. If you have property you want to hold onto, a chapter 13 bankruptcy may be a better choice. This is also known as a "reorganization bankruptcy." It lets people clear their debts over a period of three to five years. If you have a regular, steady income, a chapter 13 bankruptcy gives you some breathing space. Any debts remaining at the end of the grace period are discharged. Chapter 13 of the Bankruptcy Code may also provide relief to sole proprietors. Once a chapter 13 bankruptcy is approved by the court, creditors must stop contacting you. You may then carry on working and pay off your debts over the coming years, while keeping your property and possessions. Gillespie, Claire. "Chapter 11 Bankruptcy Laws in Texas." , https://legalbeagle.com/6504511-chapter-11-bankruptcy-laws-texas.html. 13 August 2018.